June Mendoza is one of the worlds most eminent portrait painters of her generation. June has painted famous figures from all walks of life from celebrities to politicians and the Queen. 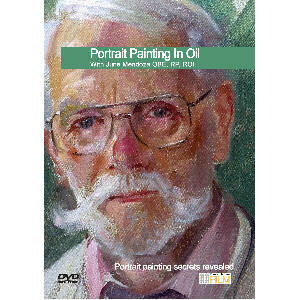 Portrait painting is a fascinating, hard but hugely rewarding profession. You work with so many different people from every walk of life in so many different parts of the world." She drew as a child and, aged about twelve, became conscious that she was already on the portraiture road. Since then she has continued without break doing commissions but always tempering this work with self-generated and non-commissioned projects. The latter are her 'pickups' - faces she sees and pounces on to sit for her.